Download the Print-and-Play (v2) NOW! Sign up here to receive the download link! You’ve got the link, now what? We suggest printing on 80 lb cardstock (but regular paper works just fine) and gathering a group of friends or coworkers together. You’ve played Zero Inbox, now what? Provide us feedback! Please visit this survey and send us your thoughts, or rip us apart — like you’d like to do to your boss. We’re listening! We are planning on taking your feedback and making updates to the game based on it. 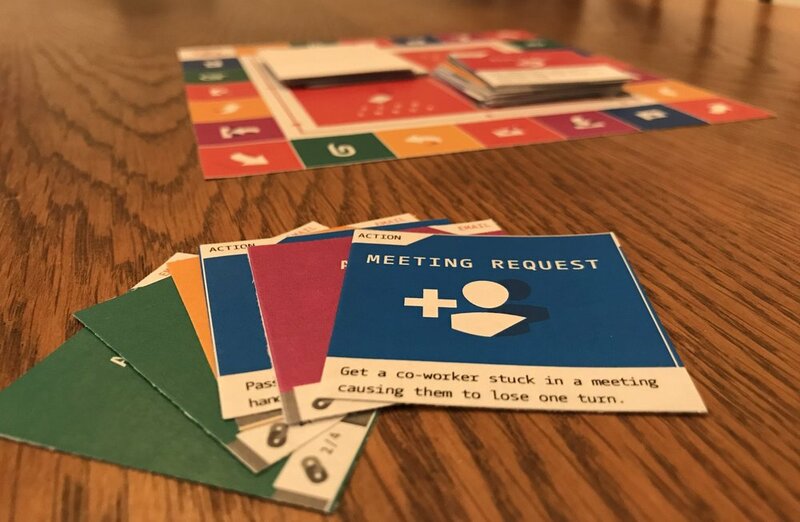 We already have - we’ve included new action cards in our latest prototype! These cards are not available yet in the print-and-play, however. Watch out for updates in your inbox if you’ve signed up for our newsletter; don’t worry, we won’t spam you. We’ll alert you when we’re in Kickstarter mode and you can purchase the game.